At Guitar Center Villa Park, we know that it's important to take care of great instruments, which is why we keep our acoustic guitars, ukuleles and mandolins in a humidity-controlled room. And even in the main showroom, you'll be treated with wall-to-wall electric guitars, basses, keyboards, drums and pro audio gear. Best of all, our team of experienced musicians have the knowledge and skill to work closely with you, making it a cinch to sort through all those options to find the perfect fit. Go ahead and visit us in-person or call 630-832-2800 to find out more, and don't forget to ask about our free workshops while you're at it! Guitar Center Villa Park provides comprehensive guitar repair services for the Villa Park area. Our repair technicians are as passionate about your guitars and basses as you are, and we have the experience needed to keep them performing at their best. Whether you need a quick adjustment to make your guitar easier to play, or a complete guitar rebuild, we have the tools and know-how to take care of your instrument. Guitar Center Villa Park can also help build a maintenance plan that fits you and your guitar or bass needs, including custom setups, restrings and more. We also take care of fret repairs, hardware and pickup installations, upgrades and customizations, bone and graphite services and more. 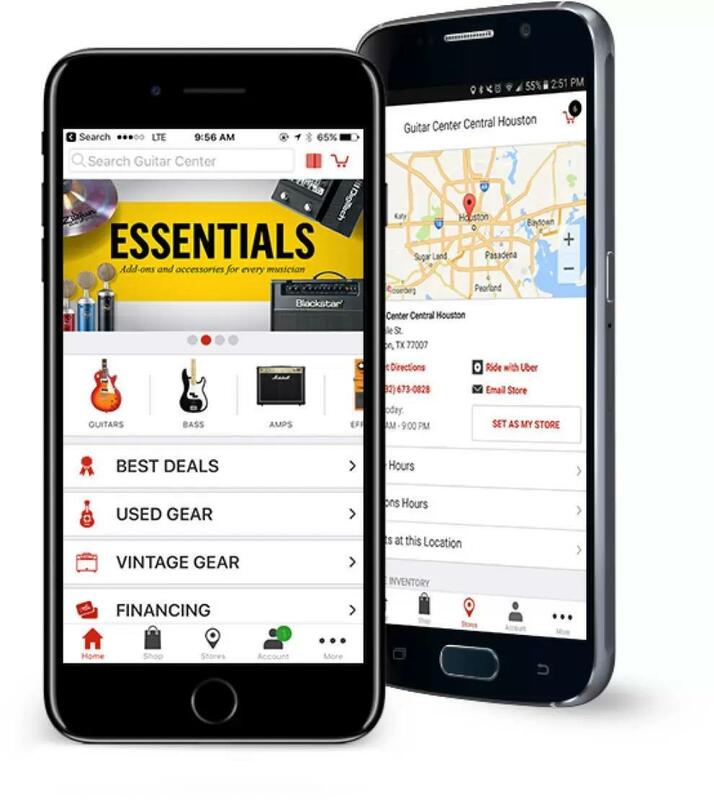 First opened in 1996, Guitar Center Villa Park has two decades of experience helping the west suburbs of Chicago experience the greatest feeling on Earth. That's the feeling of making music, of course, and we're easy to find if you want to bring it to life today. Located in the Villa Oaks Shopping Center, we're on Roosevelt Road, centrally positioned between I-355, I-88 and I-294. That makes us easy to reach whether you're coming from near or far, so don't hesitate to pay us a visit.First and foremost at Guitar Center Villa Park, we strive to give you the experience that Guitar Center is known for nationwide: big-store selection and prices with small-shop expertise and personality. From sales to repairs, our staff in each department is well-trained to cater to west suburban music-lovers. Our store is open every day of the week, so there's always a right time to visit even if you're on a busy schedule.